Do you love billiard? Can play it all days long but have no own table? Play it online absolutely free and get satisfaction with the game. No need to say anything about this game as it's widely known all over the World. 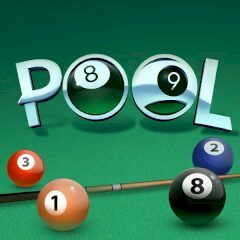 Pool is the game for simple people who get satisfaction hitting the ball on the table and want to relax and have fun. Practice it online and learn the game better to beat your opponents when you play the real game. It is much easier as you might think.